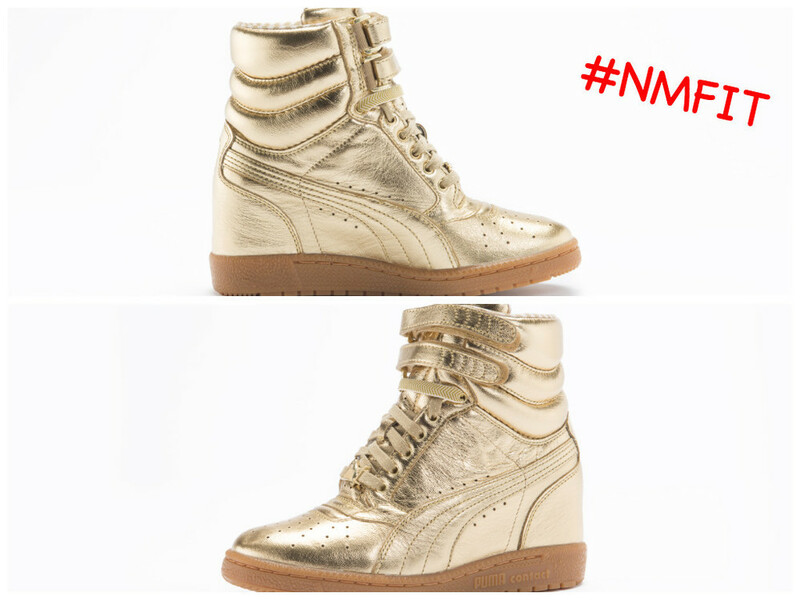 The PUMA x Rime Luxe Sky Wedge is inspired by a mix of a classic women's luxury and PUMA's sporty styling. The upper is constructed of gold foiled leather, two lace options of subtle sparkle and chevron, and golden PUMA lace lock - this shoe brings luxury to the street. If you like what you see I suggest pre-ordering these lovelies because it is a limited edition shoe being launched on 12/7 at Rime as well as other select retailers like Nordstrom and Nice Kicks. Have questions for me? Tweet me @NadiaMurdockFit or leave a comment on the NMFIT Facebook page.